My first lemon from my lemon tree! And more coming! Announcement 1: Never in my short blogging life would I have imagined having 60 followers in just over a month of blogging. This online world is incredible! I've decided that if/when I make it to 100 followers, I will hold a CONTEST! I'll be thinking about the rules (I'm sure I'll have plenty of time), but I do believe the contest will have something to do with writing!! And as a prize, well, I'll be thinking about that, too. Most likely an online B&N gift card or something. So red rover, red rover send your blogging friends over! Announcement 2: More exciting than a contest, Kristi Chestnutt, my very first follower that I didn't already know personally, has a debut novel coming out February 25, titled The Wolf Within!! 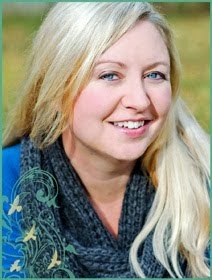 To get us all ready for the release, I will be interviewing Kristi right here on my blog the week before. We'll learn a bit more about her, The Wolf Within, where we can get a copy, and more! I'll keep you posted! This past November, I went to a small seminar by romance/mystery author Colleen Thompson. I haven’t read any of her books yet (though I received a signed copy of one), but she has a lot of them out, so she must be doing something right! Her seminar was called “Publishing 101”, and she shared some great info for aspiring authors. Some of this we’ve all seen before, but it never hurts to refresh the memory! -Discover your place – what shelf would your book sit on in a bookstore? -Which authors’ fans would respond to my book? -Don’t just read established authors – look for the last person who won the Edgar; read LOTS of debut authors; read in the area you like to write. pick their brain, but DON’T USE THEM. -Learn to cope with editorial changes – it’s not being a sell-out, it’s being realistic. -Publishing is our universal need to connect; otherwise, we’d put it in a drawer and be done with it. -Online or in public, be aware of the words and images you put out there. You don’t want to be remembered for the wrong thing. Err on the side of being respectful. -Staying published is harder than getting published in the first place. -Once you have your agent, choose your tantrums carefully – they will only put up with it for so long. Writing progress: goal for today - search and replace for ill-fitting nickname in entire MS, and fix a few chapter issues. Great tips and congrats on your followers! I plan on holding a contest when I hit 100 too. : ) What kind of contest....who knows. It will most likely be crazy, though. I can't wait to see your interview with Kristi. She's so great! I have one coming up with an author and I'm stumped on what questions to ask. Oh well, hope you have a great day! That's some good stuff there! Thanks for posting it for us. You take good notes. Agents aren't your friends, but it sure is good if you can have fun with them. They have to be both cheerleader, guide, teacher, nurturer, and business/publishing guru. I'm happy my agent can be silly when I need her to be, encouraging when I'm not sure where to head, and my personal expert in all things publishing. ha! love the "let's talk about exclusives and the human life span". I'll admit there is one agency in particular I'd really like to query, but their exclusives policy has me bummed. That lemon is beautiful! Looking forward to your interview with Kristi. I can't believe you have a lemon tree! How cool is that? I can't even make an aloe plant grow...seriously! Thanks for sharing your notes...I really liked the first one "Bridge the gap between thinking like a hobbyist and behaving like a pro". Congrats on your followers...I know what you mean, I have not had my blog for a month yet and have just hit 80! You will make it to 100 in no time :) Keep up the good work! Kristin - that was my favorite quote of the seminar for sure. If the agency you are pining for does exclusives, maybe you should send your MS to them first and see what they say? If they ask for the full that's a great sign, and you may end up with the agency you really want, without having other partials and fulls scattered around at that time. Muse in the Fog - you are SO CLOSE to 100 followers! That's because your blog is awesome! Congrats!